In a recent study published in the journal PLOS One, a team of researchers explored the differences in cognitive performance and magnetic resonance imaging (MRI) correlates of cognitive deficits in patients with relapsing-remitting multiple sclerosis (RRMS) and patients with primary progressive multiple sclerosis (PPMS) to underscore the importance of tailored intervention in these two MS forms. The majority of the patients with multiple sclerosis (MS) — around 85% — are diagnosed with RRMS. These patients usually show first signs of the disease in their early 20s, and experience attacks of symptoms (relapses) from time to time, followed by weeks, months, or years of recovery (remissions). In PPMS, a type diagnosed in about 10% of MS patients, the disease gradually worsens over time. There are no well-defined attacks of symptoms, and there is little or no recovery. MS treatments are not very effective in this form of the disease. Cognitive impairment affects about 40–70% of all patients with MS. While patients with RRMS are usually affected by deficits in working memory and information processing speed, patients with PPMS have more widespread impairment in these cognitive domains, but also in other domains including verbal episodic memory and executive functioning. As opposed to patients with RRMS, whose brain MRI is characterized by a predominant accumulation of inflammatory/demyelinating white matter lesions, the brains of patients with PPMS are usually characterized by fewer white matter lesions, lower accrual rate of lesion, and more widespread pathological involvement of gray matter and normal-appearing white matter. In the study entitled “Gray Matter Correlates of Cognitive Performance Differ between Relapsing-Remitting and Primary-Progressive Multiple Sclerosis,” Dr. Matilde Inglese, from the Department of Neurology, Mount Sinai School of Medicine in New York, assessed 57 patients (42 RRMS patients and 15 PPMS) using MRI and a battery of tests to measure cognitive performance, brain volumes, and cortical thickness. Results showed that cognitive performance in patients with RRMS was associated with normalized brain volume (NBV), normalized white matter volume (NWMV), normalized gray matter volume (NGMV), lesion volume and cortical thickness of the temporal lobe, parietal lobe and frontal lobe, while cognitive performance in patients with PPMS was associated with NBV, NWMV, lesion volume and the volumes of the thalamus, hippocampus and putamen. The team found no significant differences in MRI correlates of cognitive impairment between RRMS and PPMS patients, although an association was found in RRMS and MRI measures of cortical gray matter injury, and PPMS and MRI measures of subcortical gray matter injury. Based on the results, the team concluded that cortical and subcortical gray matter injury may play a different role regarding disease course. 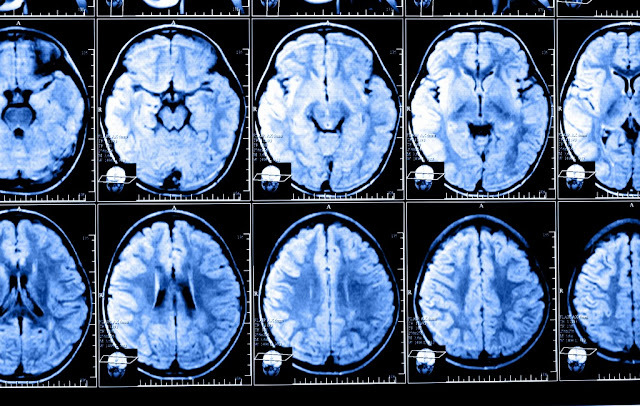 “Future research should involve larger cohorts of patients with progressive MS, and investigate in a longitudinal fashion whether the development of cognitive impairment in different groups of patients is associated with specific patterns of MRI metrics. This would help identify patients at higher risk of cognitive decline and allow early and tailored intervention with both pharmacological and rehabilitative treatments,” the researchers wrote.